So, here comes the end of February, time does fly! It's been a month since Sam and I started our Project 10 Pan. I am, finally, doing an update post of some sort. First of all, we have decided on extending this project to cover also the month of March. Well, this is mainly because Sam cannot finish her products - haha, I'm gonna win. (insert: bright grin) Also, because I haven't found time to review these ten items either. I have finished two of the items in my list. They are the Naruko serum and the Dr. Wu hydrating lotion. I have a review of the Dr. Wu coming up in near future. A few others are near their last legs too; I am pretty darn sure I can finish at least four more products in the remaining time of this 'competition'! Dr. Wu Hydrating System Extra Hydrating Lotion with Aqua-Collagen - Done! Naruko Narcissus Total Defense Fundamental Serum (discontinued) - My full review link - Done! From left, the Clinique DermaWhite Concealer, Maybelline (concealer end) and Maybelline (highlight end). 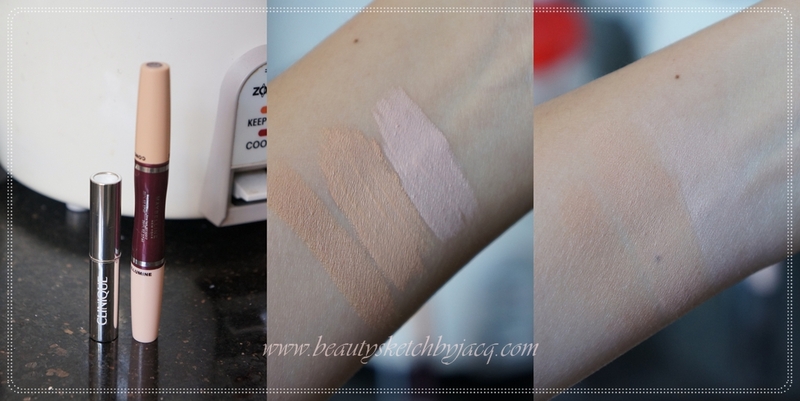 The middle pic is heavy swatch, the right one is blended in. 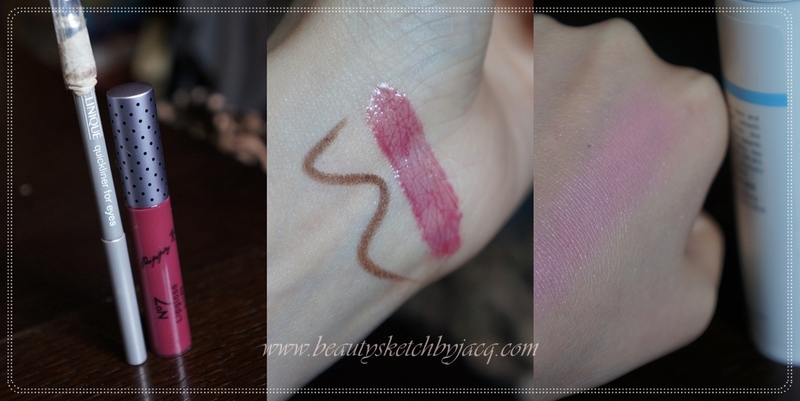 Clinique quickliner, No.7 lipgloss and Canmake cream blush swatch. Before: with concealers dotted on where needed. After: FOTD loaded up with make up! Tell me what you think about the video! !